Ben Taylor says the big issue is that the only entrance into the development is from Bishop Lane, which he says isn’t designed for heavy traffic. The road would serve as the only entrance to the development. The commission voted to table the issue until next month after a suggestion from committee member Jackie Schroeder. 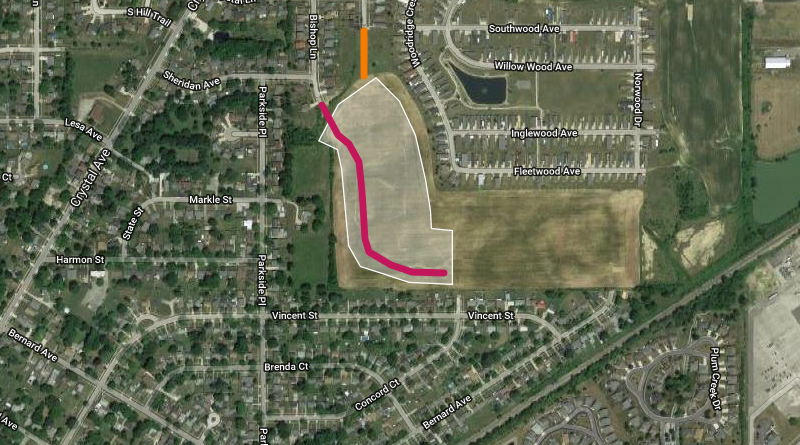 She suggested a compromise that would extend Breckenridge Lane south and build a cul-de-sac that would connect to the north side of the new development. Residents say they like that idea better because it would provide direct access to Melrose Avenue. However, the land needed for the cul-de-sac isn’t owned by the property developers, Blanchard Station Housing Partners LLC. The developers asked the commission to table the issue so they could talk to all of their partners before moving forward with a compromise deal.